The pco car hire life is one full of choices – from saving money on car maintenance to knowing which shift is best to make money, you’ve always got something to think about. The modern driver must also work out which fuel is best for his car and why; so, we’ve made your life easier by providing a brief review of the strengths and weaknesses of each type of fuel. It might also help you decide which cars to purchase in the future! With improvements in technology, petrol is now closer to diesel in terms of efficiency and is more suitable for smaller cars. However, with a focus on decreasing pollution levels on the rise, petrol’s high carbon dioxide levels are still a cause for concern. Until recently diesel was the more preferred choice of fuel, known for its utility and the best choice for long distance travel. But recent discussions over its high levels of nitrogen oxide (NOx) mean the government are making attempts to reduce its usage in the UK; know as the ultra-low emission zone, the mayor of London is set to place additional fees on the congestion charge for those with older vehicles producing high levels of pollution. The hope is that this will encourage people to buy newer models; if you feel this will become a problem, have a look at Pace Hire’s selection of cars and see which pco car rental will help you comply with the new laws. Hybrid engines are great for day-to-day use, functioning well at low speed and adapting to the start-stop lifestyle of city life – a hybrid engine uses electric power as its primary source and will recharge during stops. On the flipside, hybrid engines are not great for long distance travel, as they are not fuel efficient. It will use more fuel to do what a petrol or diesel car can do with minimal effort. Also known as PHEVs, the plug-in hybrids contain a larger battery than standard hybrid engines to reach higher speeds and cover greater distance in their electric modes. However, to prevent the engine running on its fuel, the battery needs frequent charging, which can take up time depending on your schedule. As a relatively new product on the market, battery electric vehicles (BEVs) are not commonly used, although this might change soon with battery chemistry making major progress with charging speeds and the range of products available. Because there’s little to no moving parts maintenance, repair & service costs are likely to be very cheap for the long term. By 2019, the latest BEVs will be able to cover between 230-300 miles before needing a full charge, and perhaps take as little as 45 minutes to do so. Whether an uber car rental or a pco car rental, make sure you have the right fuel for you – it will make you more efficient and save you money in the long term, because what you choose should really be about what’s best for you. 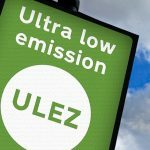 The ULEZ – Now Operational! Don't miss a thing! Sign up now to receive news and deals. © Copyright Pace Hire Ltd 2019.